While Jonah and I were at Winter Weekend, Sue knitted this hat for Harper (aka Bean or Bean Bean). 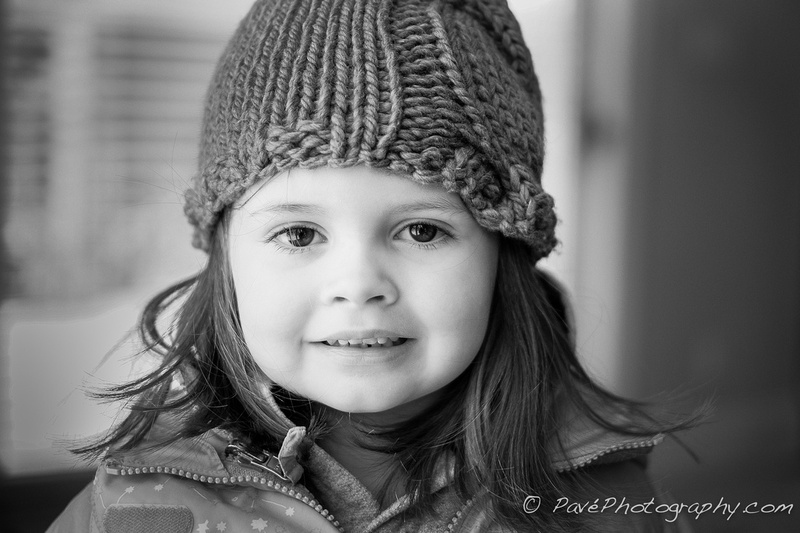 When I was headed outside to shovel snow, Bean Bean wanted to go to and show me how well her hat worked. 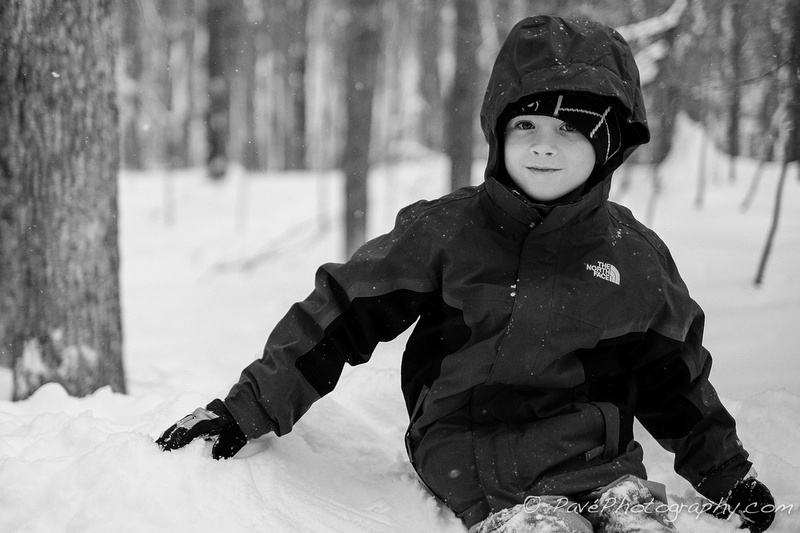 This past weekend was my first and hopefully not my last Winter Weekend with Jonah and his Cub Scout Troop. I took my Fujifilm cameras of course and my back thanked me for it. 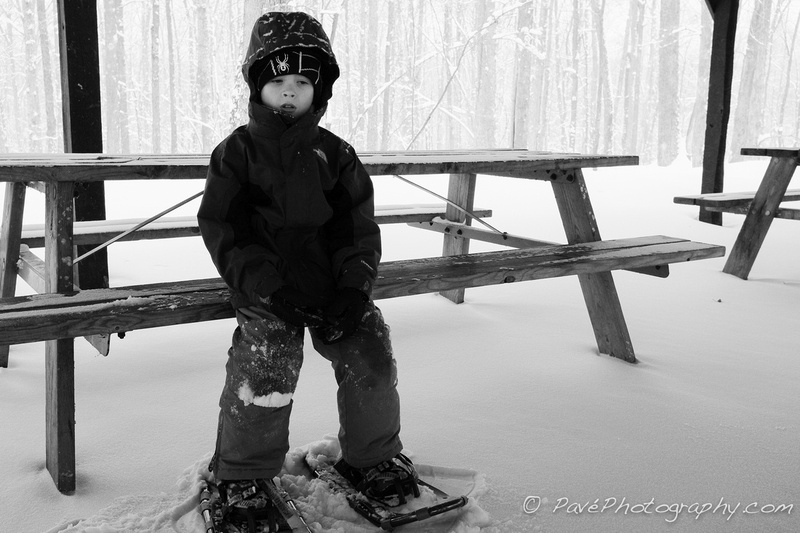 I had my X100s and X-E2 in my bag, 14mm and 35mm, a couple of extra batteries, SD Cards, and some extra gloves for Jonah. I was able to participate in every activity and we had a blast. 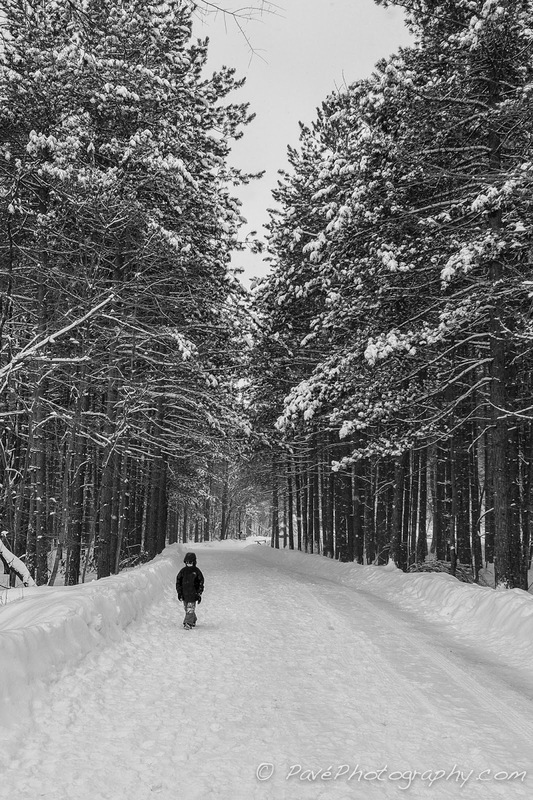 We arrived Friday night and by the time we woke up to begin the day there was 8 fresh inches of snow, which made taking photos even more fun. 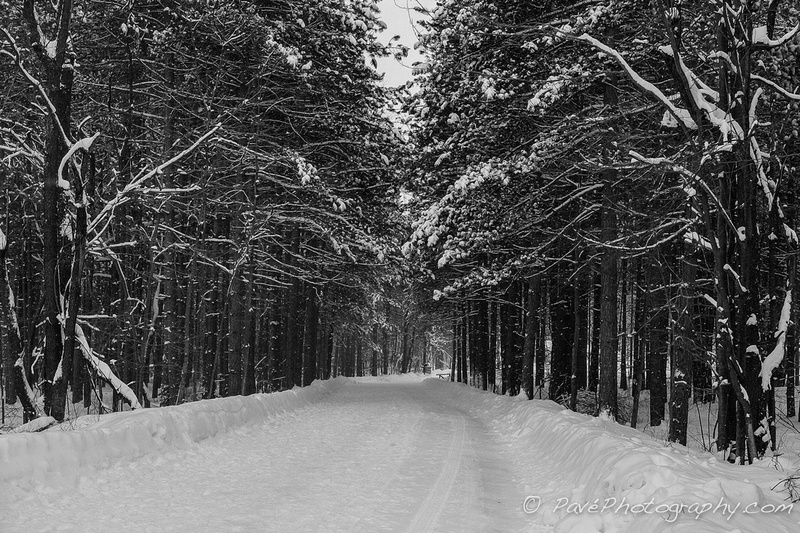 Fresh snow and overcast skies make for nice black and whites. 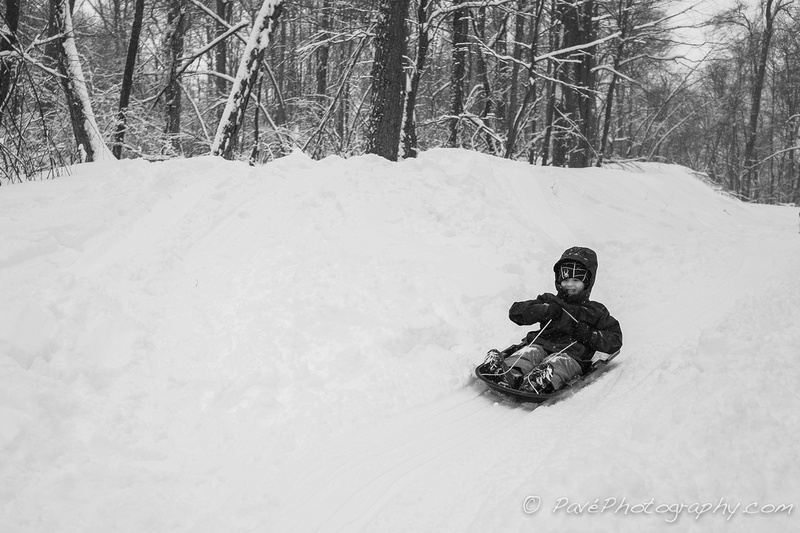 The extra snow also assisted in completely exhausting everyone involved, especially this kids. Here are a few of my favorite from the weekend. 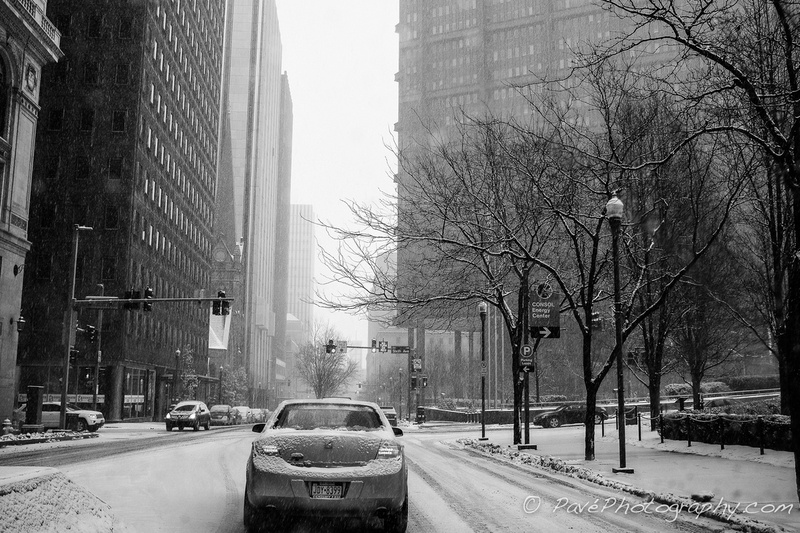 I was driving through Pittsburgh around noon this weekend and was able to get a shot while waiting for the light to turn green. 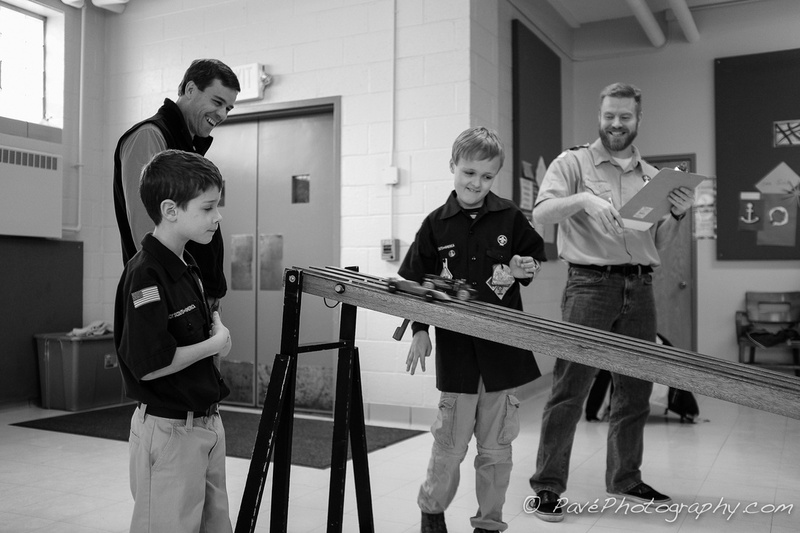 This past weekend was the Pinewood Derby for our scouts. They had a blast racing their cars and checking out everyone's cool designs. Jonah's car won a bunch of racing and was probably in the top 6 or 7 fastest for the day.